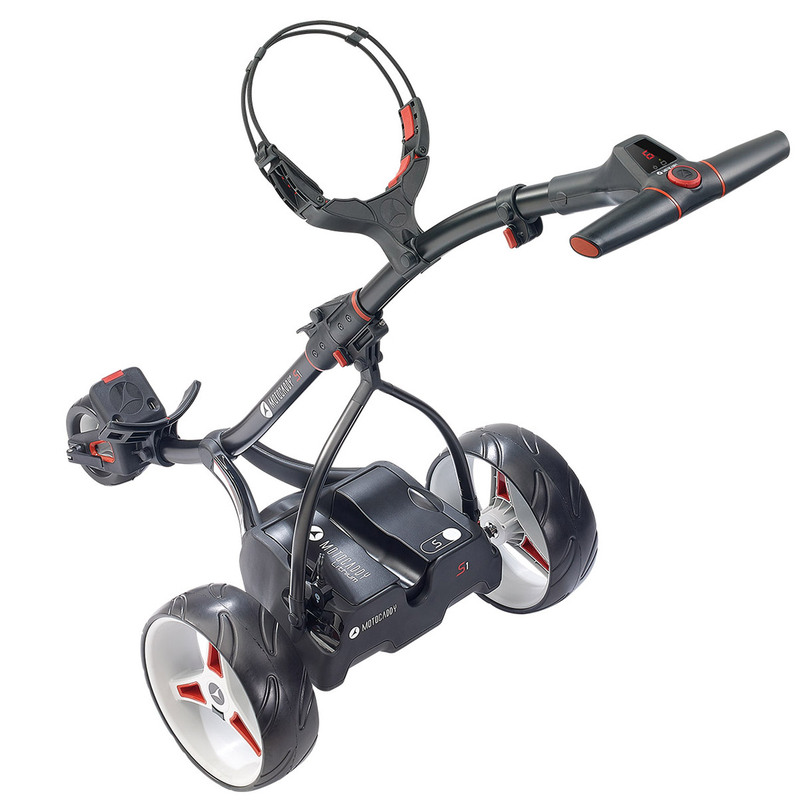 Take the weight off your shoulders this season with the impressive Motocaddy S1 Extended Range Electric Trolley. 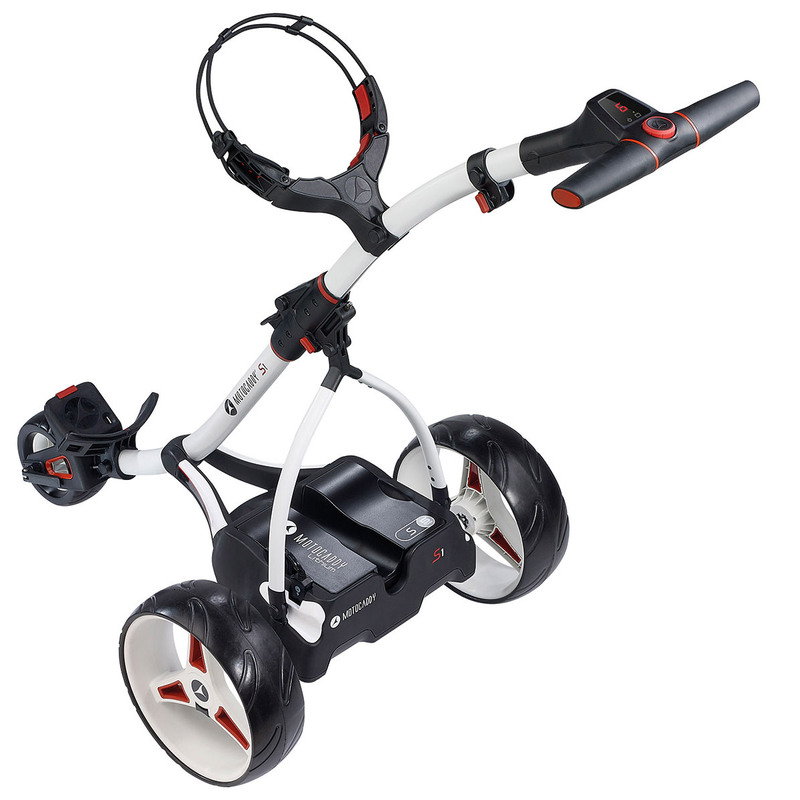 This superb trolley has been designed to provide golfers with a trolley that is lightweight and comes with a lightweight lithium battery, that is also easy to charge and lasts longer than a standard lead acid battery. The design of this trolley is very impressive thanks to the QUICKFOLD mechanism. This makes it extremely easy to open up and then fold away into a low profile where it can be stored away. It also features an ergonomic handle and a digital dial with 9 speed settings allowing you to pick the speed that suits you or depending on the slopes you are on to control the trolley from getting away. The digital screen also provides a battery indicator so you can see how much life is left in the battery. 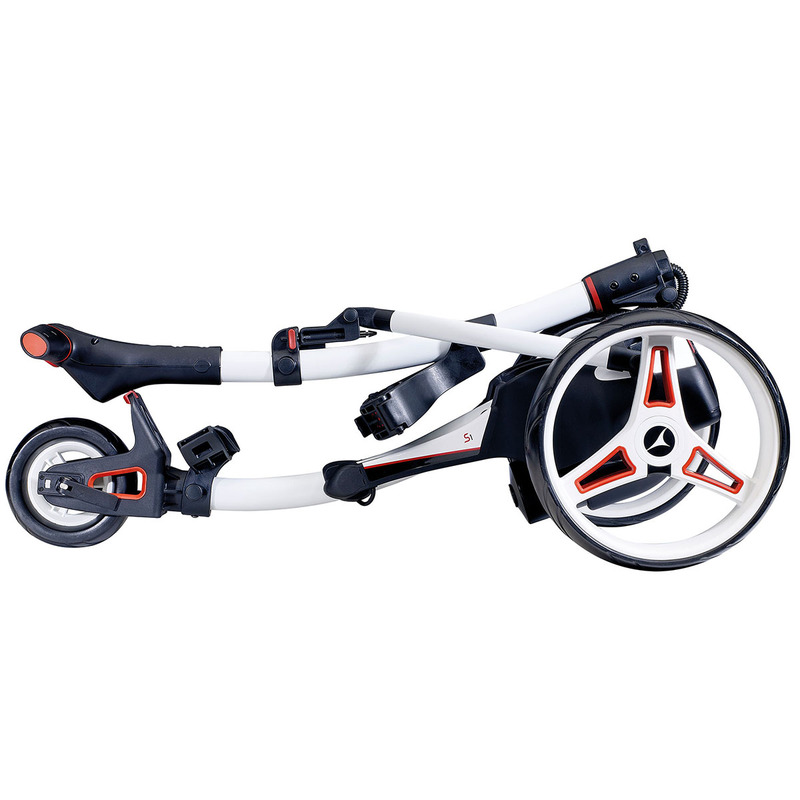 The whisper quiet motor helps prevent noise to distract other golfers, while the low-profile wheels provide balance when on the move. The design is complete with a universal battery tray and is also EASILOCK compatible.